This here is a release that I have made from presets I have used and will use in my upcoming albums. These are colour presets with the ability to really radically change the tone of your mixes so although some are subtle the colours are more on the side of tone shaping. 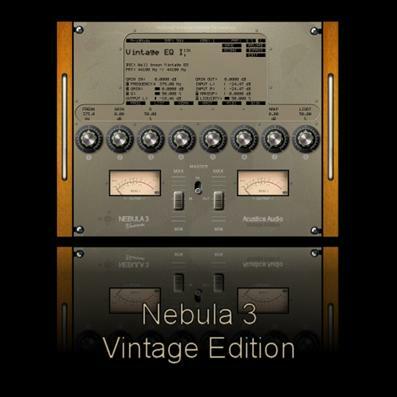 If you haven’t already got my first preset pack go here to get a very nice high end eq indeed. 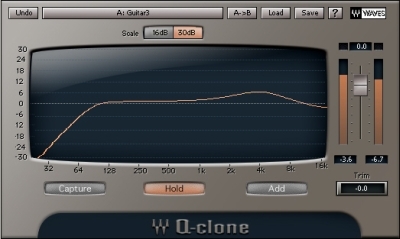 Q-clone IMHO is the best EQ in the world……oh and Nebula is even better………Anyway – I hope that you will enjoy this small library of mine.I have been saddened by the lack of q-clone libraries around the net and have decided to do something about it.I have been transferring some of the presets I have used in projects to presets I can share. I have here assembled a set of presets that allow you to sculpt a mix easily and quickly to add colour.This in most cases is not your run of the mill set but one that can radically altar the tone of your instrument in many cases.It really is an adjunct to the tools you already own so you can shape the tone with q-clone and do any other surgical cuts and boosts as desired with a more precise tool. Simply place the folder anywhere on your HDD and use the open function within q-clone.Personally,I wouldn’t add them to the waves folder as once the folder contains a lot of presets the drop down list becomes a pain.Trust me – I personally have more than 100 presets per folder!!! I would advise that you add q-clone first in your effects bin and then add the rest of your signal path – but it’s up to you to go where the sound you desire leads. This selection of presets is just a small sampling of over 2000 presets ( and growing ) of my passion for sampling analog gear. I have access to great analog eq’s such as a Portico 5033,GML 2032,Mackie Onyx 1220 (Perkins EQ ),Millenia eqs,Pultec,High end digital eqs, and many other exotic eq’s at a nearby studio that allow me to build these presets. Enjoy,God bless and have a good one. Oh and do leave a comment on the blog if you like the stuff. I may make the whole set available for purchase if I have the time to do so but that depends on demand – so if there is a demand for this then I will make the 2000 preset Library available as is but only if there is a demand.The library is about 350 MB right now and it may grow to a gig with all my additions to come.So let me know if it is feasible. Well I had a few days off this week and I spent about 30 hours creating tonnes of Q-clone presets .I have 1500 to date ranging from kicks to snares to bass – in fact I am trying to cover the bases of most requirements in a studio so I will be attempting to cover the spectrum of useful frequencies. 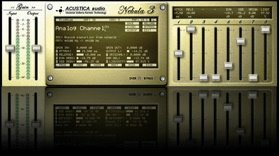 If I were to choose between Acustica audios Nebula and q-clone I would choose q-clone from a workflow perspective.It is faster,sounds as good has a tiny footprint,use so little CPU on my workstation and uses little ram as well.The problem is one needs access to high end eqs and these are not easy to come by.But Nebula has a vast library of these and they sound fantastic. There are a lot of people who need to get a mix sounding great fast and the presets I am working on do just that.They sound amazing out of the box. Anyway I have decided to make these presets available in the coming months for those who care and let me just say before I release anything – you will be blown away at what this plugin can do.It is not a one trick pony at all.In fact it can even sample subtle delays – yes you heard me.Don’t believe me? Well come back in a month or so and you will get them do demo. I will also be making available a nice little neve box that I own.Amazing quality and the presets just shine.That’s for later though………..I may even have some available before Christmas. I begin preliminary mixing on my next three albums soon.I reckon we are looking at a mid 2010 release for them. I also want to give a plug to a wonderful group of developers who are sampling gear to the highest standards.Support these guys as what they are doing is revolutionary.